This is the Queen City brought to you by Caffe Vita Coffee Roasting Co. The Queen City is a multi-layered blend of medium and dark-roasted coffees from Central and South America, Indonesia and Africa. 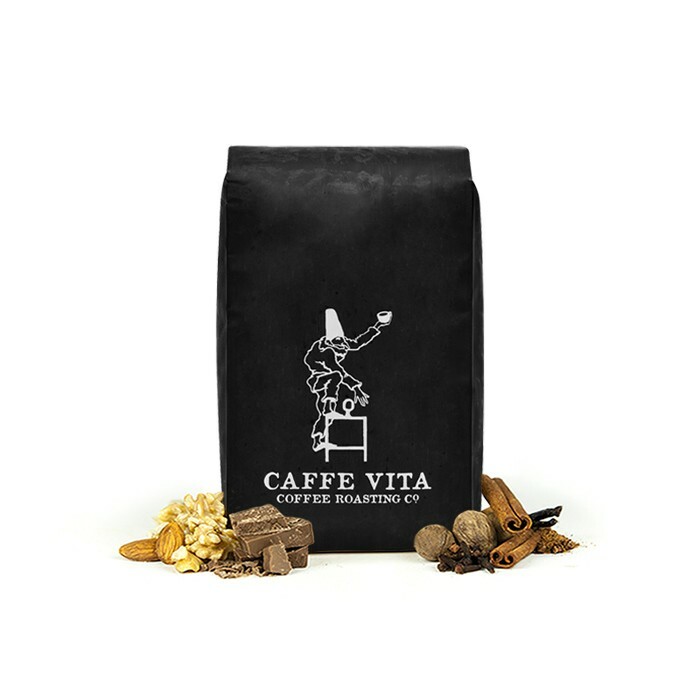 In the cup you'll find aromas of toasted hazelnut, vanilla and cocoa and a medium-body with slight smoky notes and a smooth, buttery finish. Smooth, more mild than I normally prefer but nice flavor. Medium Dark Roast with chocolate notes. Perfect morning cup of coffee. Smooth and not bitter. Smells amazing when you grind these beans. I normally like a very dark roast but I am making an exception for this blend. I did not get the smoky tones that is noted here. Nonetheless, I will definitely purchase again. pretty similar to the other caffe luna, good. This has been one of our favorites. Consistently perfect shots, smooth flavor. Good in flavor but just ok. Strange acidity and sourness not to my liking. Very nice flavors. A tad too dark but otherwise​ a great choice. Lots of chocolate and caramel flavors that are a little too much. Better in Chex than aero press. Jess likes the flavors. This may be my least favorite so far. It had a very artificial taste to it. I didn't pick up any of the nutty or chocolate notes. It was also much lighter than I anticipated. A very unsatisfying cup of coffee all around. maybe the best coffee ever?!? Delicious soft chocolate finish. Love it. Great tasting coffee. Totally unique. Very enjoyable and smooth. Omg omg - new favorite. The aroma is next level ya'll.